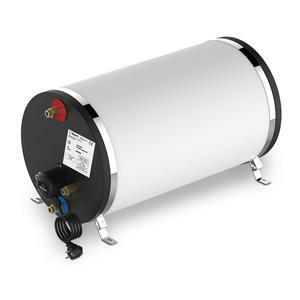 Marine SS Water Heater 45L (12 gal) 850W 230V, stainless steel tank. Heats up 45L (12 gal) in 2h, good for 65L of warm water or a 6,5 minute shower. Replaces common brands as Isotherm 604031.